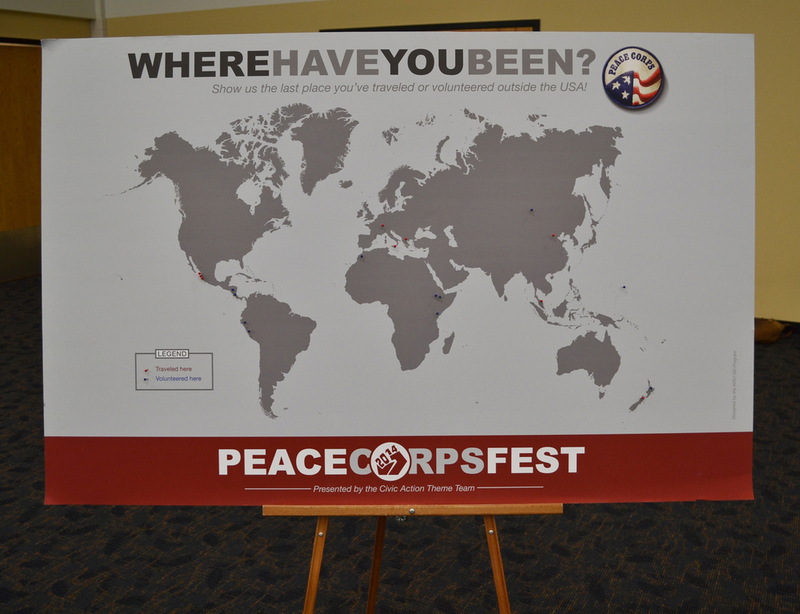 Winona State University hosted their first annual Peace Corps Fest celebrating local residents who have served in the Corps. The event allowed students and community members to hear first hand experiences and learn more about how to get their registration process started. Peace Corps Fest was a collaborative campaign designed to attract students, faculty, and community members to attend the event and make connections with past volunteers. Our concept involved creating poster & banner advertisements for the event with the 8 locations where Peace Corps members volunteer. In addition to print materials we created a Facebook page to attract attention to the event. Banners were displayed around campus to promote the event to students. One of the campaign goals was to involve the community in an activity at the event. With that in mind, I designed a large world map which allowed people to mark the last place they traveled to or volunteered at with a small pin.